Ask any good birder the best place to find birds, and you’ll likely hear some reference to water: a lake, a pond, a river, a creek, a shoreline and so on. Most birds like to hang out around water, and if you’re looking for birds, it’s always a good place to start. Unfortunately, when you live in a state that is land-locked and largely desert, much of our water is underground. An exception, however, are sewage ponds, water treatment plants and settlement basins. Not places to take the grandkids swimming, but birds aren’t above a little sewage, and they flock to settlement ponds like bees to honey. Whatever attracts birds attracts birders as well, and a little analysis of birding hotspots in Arizona bears this out. 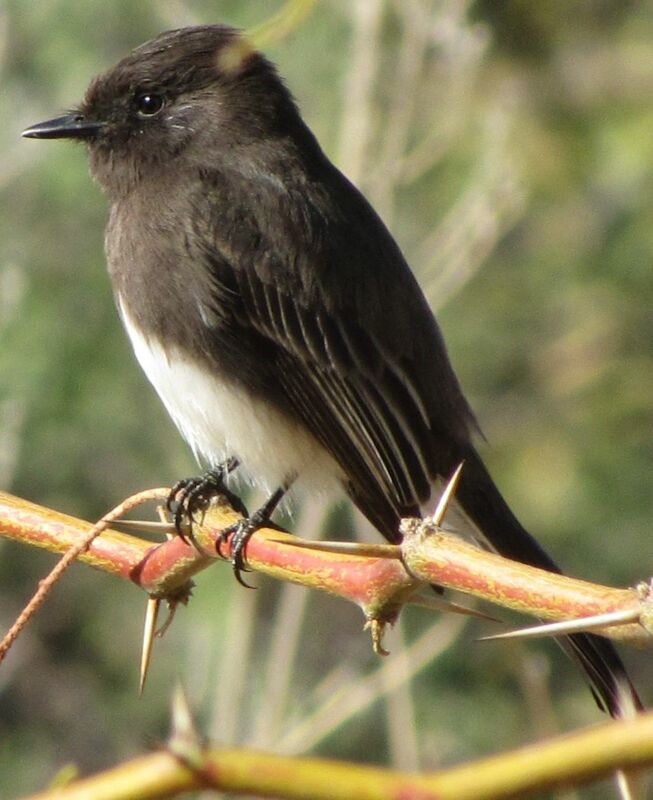 There are hundreds of eBird hotspots in Arizona, and the two most popular are sewage treatment ponds - Tucson’s Sweetwater Wetlands and the Riparian Preserve at Gilbert Water Ranch in Maricopa County. Sweetwater has recorded 301 species with an amazing 12,275 documented reports, and Gilbert Water Ranch shows 292 species with nearly 8,000 reports. Compare these numbers against other well-known Arizona birding sites, and the popularity of sewage ponds is underscored. The state’s site with the most recorded species (317) is Patagonia Lake, but eBird visits there are only 40 percent of Sweetwater’s, and other popular birding sites across the state show similar shortfalls. For example, Agua Caliente Park, Catalina State Park, Mt. Lemmon’s Rose Canyon and the Arizona Sonora Desert Museum each reports 3,000 or fewer visits, all significantly less than Sweetwater or Gilbert. As you might expect, water treatment plants attract a lot of water birds, everything from Black-necked Stilts to White-faced Ibis, and they seem to have a special attraction to rarities. A few years ago a Russian Baikal Teal wandered far from home to Gilbert Water Ranch, and a breeding colony of Rosy-faced Lovebirds have established a year-round presence there as well. Fortunately for SaddleBrooke birders, both of these hotspots are an easy drive away, and they’re not the only sewage treatment hotspots close enough for practical birding. Our own Pinal County has the Mammoth Sewage Ponds, just a half-hour drive from SaddleBrooke and home to 184 reported species (67 species reported from Jan. 1 through April 10 this year). With only 518 eBird visits in the past 16 years, you’re also far less likely to bump into other birders here than at Sweetwater (more than 12,000 visits). Like other sewage ponds, Mammoth is highly productive and has the added advantage of close access to other hotspots along the lower San Pedro River and Gila rivers from San Manuel north to Dudleyville, Winkelman and beyond. Other “sewage pond” birding hotspots in the Phoenix to Tucson area include the Glendale Recharge Ponds in Maricopa County (269 species and 3,591 visits), Avra Valley Water Treatment Plant in Pima County (260 species and 1,253 visits) and Casa Grande Water Treatment Plant in Pinal County (134 species and 71 visits). Sewage treatment of course isn’t limited to Arizona, and if travel takes you out of state or even out of the country, you can always count on water treatment facilities as reliable birding hotspots. Mexico is no exception, and nearby sewage treatment hotspots can be found in Sonora at Puerto Penasco/Rocky Point (Estanque de Aguas Residuales), Hermosillo (Lagunas de Oxidacion; a massive site that’s like Sweetwater on steroids) and San Carlos (Planta de tratamiento de Aguas Residuales). The translation of these Mexican sites is similar to what we find here: “residual water ponds,” “oxidation lagoons” and “treatment plant for residual water.” Mexican sewage ponds are not much different than those in the U.S. There are lots of birds, and you don’t want to go swimming. If you have questions or comments about SaddleBrooke’s birds, or to receive emailed information about bird walks led by Bob and Prudy, call 825-9895 or email bobandpru@gmail.com. Previously published articles can be found atwww.birdingthebrookeandbeyond.com.